Charles Sidney Fernandez was born in October 12, 1962 in Honolulu, Hawaii. The left hander threw a no hitter in his first high school start & was drafted by the Los Angele Dodgers in the third round of the 1981 draft, right out of high school. He went 32-11 in three years in the Dodgers minor leagues winning the Texas League Pitching Triple Crown (13 wins, 209 strikeouts, and a 2.28 ERA ) in 1983 with the San Antonio Dodgers. Fernandez threw two no hitters in the minor leagues to add to his resume. He was brought up briefly by the Dodgers in 1983 appearing in two games going 0-1. The next year he was traded to the New York Mets for Bob Bailor. Fernandez starting out the season at AAA Tidewater going 10-6. He was brought up to the Mets team in July 1984. Fernandez debuted as a Met in Houston on July 16th warning a win allowing just two runs in seven innings of work. That season he quickly settled in to the young Mets rotation by winning his first three starts. In his next two starts he pitched eight innings against the St. Louis Cardinals & Pittsburgh Pirates but earned no decisions. In August he went just 1-4, then entering September lost his first three games as well. His personal losing streak went five straight games, six of seven. He closed out the year with two victories ending the Mets solid 90 win second place 1984 season at 6-6 with a 3.50 ERA. He struck out 62 batters in 90 innings of work. 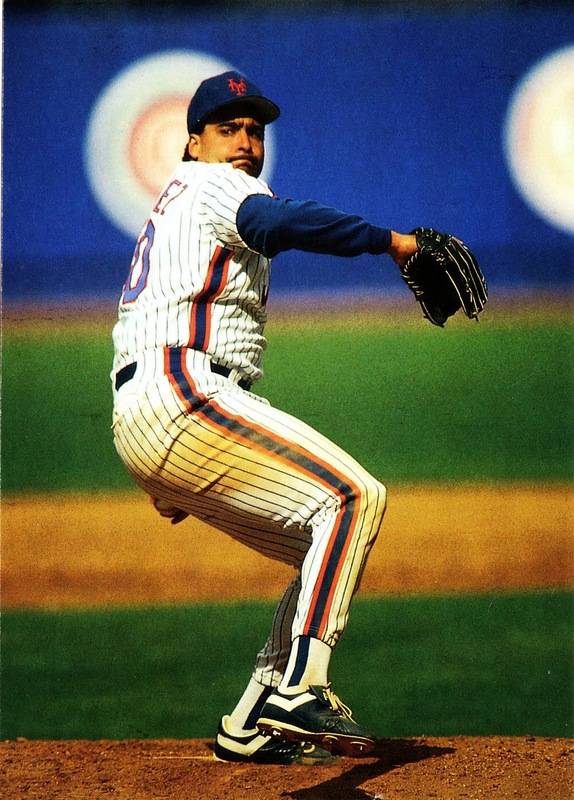 Fernandez eventually became known as “El Sid” and was another popular folk hero character around Shea Stadium. 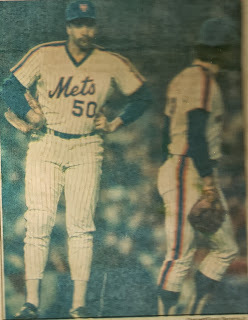 He wore the number 50 in honor of his Hawaiian heritage & The Hawaii Five-0 television theme song would be played as he warmed up on the pitcher’s mound. As Dwight Gooden’s fans hung up K’s for his strikeouts in the K Korner Sid’s fan club would hang up the letter S, in honor of each one of his "El Sid" strikeouts. Sid’s pitching delivery was strange & very deceiving to hitters. In motion he would stopped with a hesitation, before quickly releasing his pitches. With that delivery and an arsenal featuring a fantastic curveball and a rising fastball, made him a good strikeout pitcher. His biggest downfall was struggling with his own weight issues. In 1985 he began the season at AAA Tidewater going 4-1 with a 2.04 ERA, getting him called up in May. In his first start he pitched six innings allowing one earned run against the Phillies at Shea Stadium to get the win. He would lose his next four decisions and be 3-6 by the end of July although his ERA was just 2.74. After a 2-2 August he had a strong September keping the Mets in the pennant race. On September 2nd he pitched a complete game win in San Diego's beating the Padres 12-4. 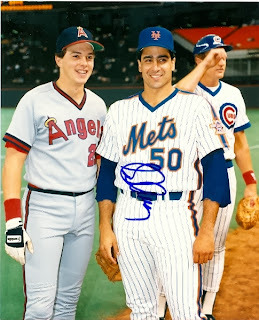 On September 19th he struck out 11 batters in a 5-1 win over the Chicago Cubs at Shea Stadium, keeping the Mets just one game in back of the Cardinals. On September 24th he tossed a two hitter in Philadelphia beating the Phillies striking out nine. The Mets faded away during the final week of the season & Sid ended the year at 9-9 with a 2.80 ERA. His 180 strikeouts were second on the club to Dwight Gooden. 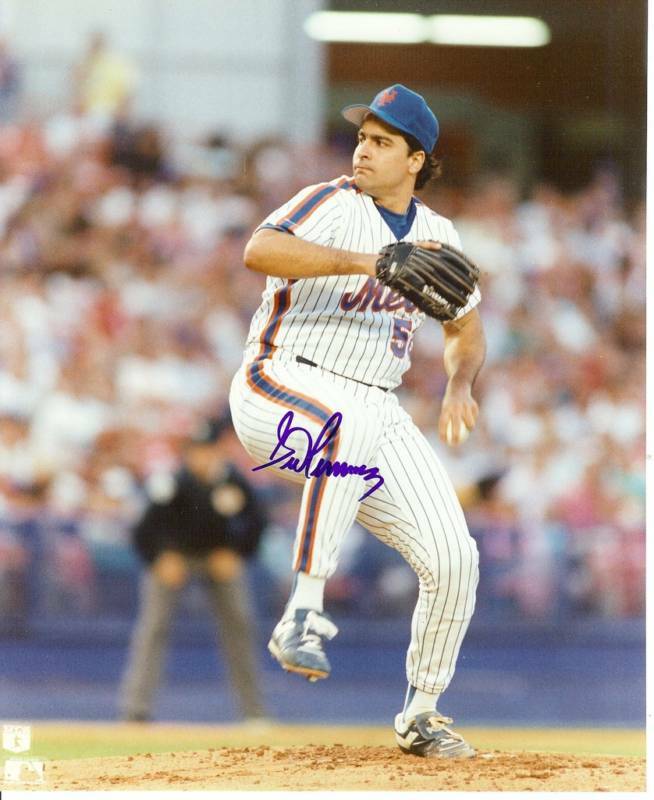 He made 26 starts with three complete games and allowed 80 walks (second on the club to Ron Darling). In 170 innings only allowing 108 hits, averaging in 5.71 hits per nine innings. That ratio led the major leagues & it was the second best in National League history behind only Carl Lundgren's 5.65 in 1907. He didn’t get much run support & all the walks resulted in his low win totals. 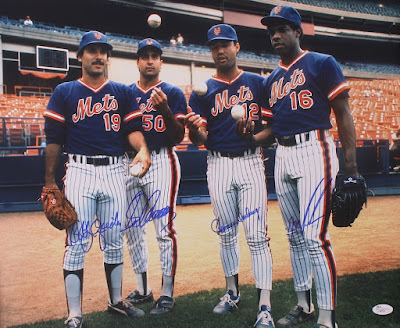 In the 1986 Championship Season, Fernandez' had a great start on a fantastic pitching staff. In April he won two games at the end of the month, both were two hit eight inning performances. In May he was 3-1 having a ten strikeout game in Atlanta on May 12th against the Braves. He pitched seven innings beating Rick Mahler 1-0. In June he pitched a three hit complete game against the Pittsburgh Pirates then went on a seven game win streak through mid July. On July 11th he pitched a gem of a game, striking out nine Atlanta Braves in a two hit shutout at Shea Stadium. Fernandez started out the season by going 12-2, at the All Star break and became the first Hawaiian native to play in an All Star game. 1986 All Star Game: In the All Star game held at the Houston Astrodome Fernandez walked the first two batters but then struck out the AL's Brook Jacoby, Jim Rice and Don Mattingly in succession to get out of the 8th inning. As the Mets rolled over the NL East though August, Sid went 3-0 with two no decisions. In September he struggled a bit going 1-2 with three no decisions, and got a save out of the bull pen on the last day of the season. He ended the year 16-6 with the league's third best winning percentage (.727%) striking out 200 batters (4th in the N.L.) in 204 innings of work, while posting a 3.52 ERA. He pitched much better at home in Shea Stadium posting a 2.17 ERA there as opposed to a 5.03 ERA on the road. 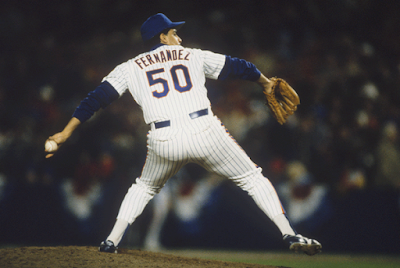 Fernandez was one of four Mets pitchers to receive votes for the Cy Young Award. 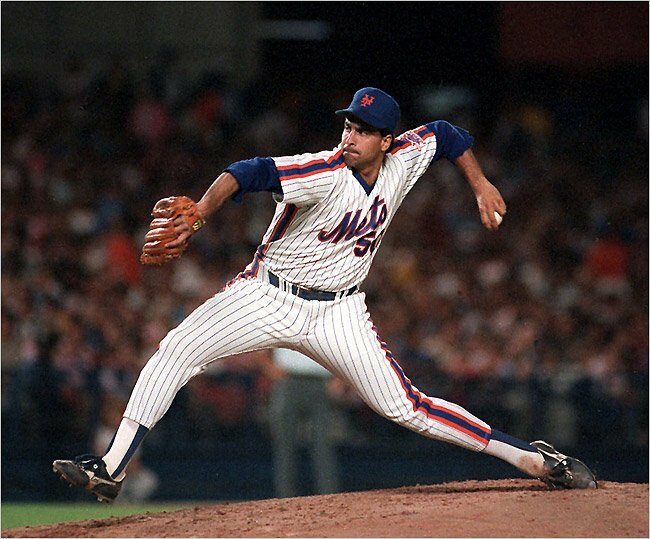 1986 World Series: In the World Series against the Boston Red Sox, Mets manager Davey Johnson was afraid to start a lefty with a high-fastball in Fenway Park. Fernandez was placed in the bullpen & was not happy about it. When Dwight Gooden fell apart in Game #5 at Fenway Park, Fernandez took over in the 5th inning and shut down the Boston Red Sox, mopping up in the Mets loss. After the legendary Game #6, the Boston Red Sox took an early 3-0 lead in the deciding Game #7 at Shea Stadium, getting to starting pitcher Ron Darling. Fernandez was summoned from the bull pen in the fourth inning and gave a spectacular performance. El Sid, entered the game & after issuing a walk, he retired seven batters in a row including four strikeouts. He electrified the quiet crowd & brought Shea Stadium back to life. The Mets scored three runs in the bottom of that 6th inning and three more in the 7th to go on to win the game & the Series. Overall Fernandez only allowed one run on six hits, as he struck out ten batters in 6 1/3 innings pitched in two games of the World Series. In 1987, Fernandez won the third game of the Mets new season & had a 4-1 April. The month was highlighted by a one run complete game victory against the rival St. Louis Cardinals. On May 30th he pitched a five hit shutout in San Diego while striking out 11 Padre hitters. He started out great going 9-3 through mid June making another All-Star Game team. 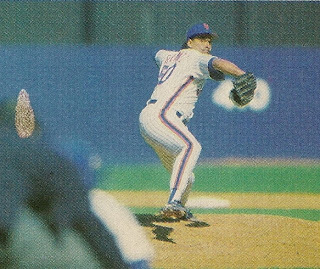 In the classic 2-0 thirteen inning pitcher's duel at Oakland Alameda Stadium, Fernandez got the save closing out the final inning. After the break he missed three weeks due to a knee injury, probably due to the fact that he gained weight again. He went 3-3 ending the season at 12-8 with a 3.81 ERA, striking out 134 batters in 156 innings. He was much better at home than on the road going 5-3 with a 2.98 ERA. That season the Mets were disappointed finishing second behind the St. Louis Cards who went on to lose the World Series to the Minnesota Twins. In 1988 he started the season badly, finding himself at 4-6 at the end of June. He had a much better second half although he was 6-10 after an August 9th loss to the Montreal Expos. From that point on he was fantastic, El Sid stepped up and helped lead the Mets to another Eastern Divisional title. He went on a 6-0 finish beating the Montreal Expos & Philadelphia Phillies twice. He also defeated the Giants, Cubs & Cardinals in that stretch. He finished the season with the NL's best hits per nine innings ratio, going 12-10 (fourth on the club in wins) with 189 strikeouts (5th in the league) finishing up with the second best strikeout per nine inning ratio, for the first of four seasons. He posted a 3.03 ERA, with a much better ERA at home (1.83) and a 8-4 record at Shea Stadium. Once again his hits per nine innings (6.10) was the best in baseball. 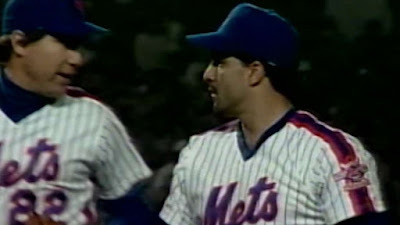 1988 Post Season: In the 1988 NLCS against the Los Angeles Dodgers, Fernandez got the start in Game #5 at Shea Stadium. With the Series tied at two games each he pitched well for three innings. In the 4th inning, he gave up three runs and then in the top of the 5th gave up a three run HR to Kirk Gibson knocking him out of the game. Sid took the loss in the Mets 7-4 loss. They came back to win Game #6 but lost Game #7. 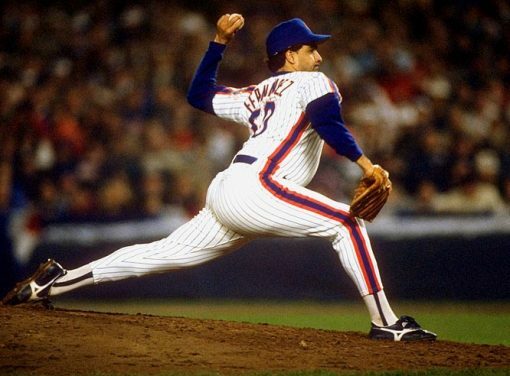 Fernandez started out the 1989 season noticeably overweight & out of shape. He was criticized in the media & by the fans as well. He was placed in the bullpen, for his first two games and struggled, but soon turned it around to possibly have the best season of his career. He started out winning his first three starts to go 3-0 with a 2.19 ERA. Over the next two months he had six no decisions while winning just two games in eleven starts. In those games he had only allowed three runs or more three times. He went into the 1989 All-Star break at 7-2 with an ERA at 2.86. On July 14th, in his first outing after the break he struck out a career high 16 batters in a heartbreaking 3-2 loss to the Atlanta Braves. The 16 strikeout performance set a Mets record for lefthanders at the time. On August 1st, he pitched a four hit shut out against the Cardinals at Busch Stadium in an 11-0 Mets blowout. Five more straight no decisions followed, until an August 30th win in Los Angeles. He went into September with an 11-3 record, and had a fantastic month. He went 4-2 & pitched three complete games that month. On September 21st he tossed a two hitter & struck out 13 Cards at Busch Stadium. He followed that up with a three hit shut out & nine Ks against the Pittsburgh Pirates at Shea Stadium. In the last game of the season he allowed two runs but just four hits in Pittsburgh. Those games earned him the Player of the Week Award. He finished the year with the league’s best winning percentage, (.737) going 14-5 as one of the Mets three 14 game winners. He posted a 2.83 ERA (9th in the NL) with 198 strikeouts (third most in the NL), six complete games, two shut outs & a career high 219 innings pitched. The Mets finished second to the Chicago Cubs in a non wild card era. 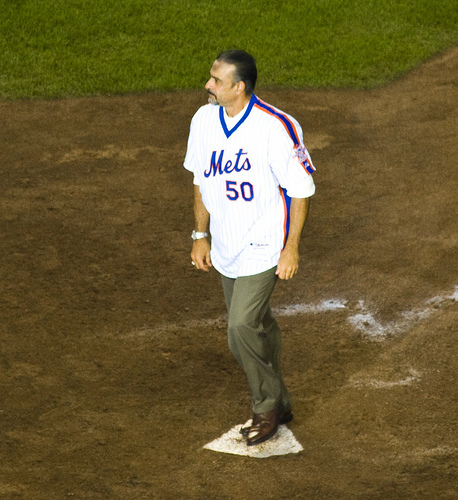 In 1990, Fernandez was once again in the top ten in the league in several categories including the leagues best hits per nine inning ratio for the third time in his career. His 181 strike outs were fifth best in the NL. But bad luck, poor run support & 67 walks made him 9-14, giving him the worst record of his career. He pitched well at Shea Stadium, going 8-5 there with a 2.41 ERA. He was horrible on the road going 1-9, with a 4.94 ERA for the second place Mets. In 1991 he broke his arm in spring training and returned in mid-July, only to go down again with knee problems due to his weight gain. On the year he was 1-3 with a 2.86 ERA pitching in just eight games. In 1992 he rebounded well, but the Mets had alot of changes within the team. They were now a fifth place club finishing their worst in almost a decade. Fernandez led the team in wins, going 14-11 with a 2.73 ERA (10th in the league) pitching 214 innings with 193 strike outs (4th in the league), he had six shut outs & two complete games. His biggest highlight of the year came on July 24th when he pitched a three hit shutout against the San Diego Padres in a nine strike out 3-0 performance. 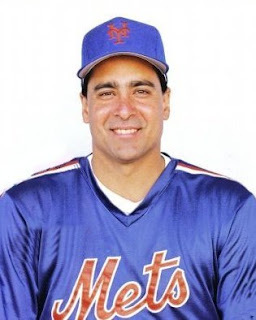 In 1993 he injured his knee covering first base missed & half the season, going 5-6 although he posted another good ERA (2.93) before leaving New York for free agency. 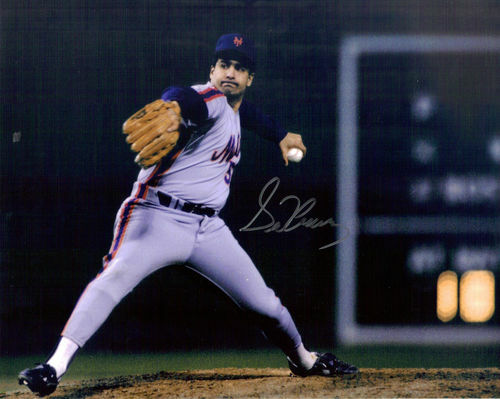 Mets All Time Leader Board: "El Sid" is fourth on the All Time Mets list in Strike Outs (1449) & starts (250). He is Fifth in Wins (98) & eleventh in complete games with 23. He is also 18th in games (255). After 1993, he never pitched as good as he did with the Mets. He signed with the Baltimore Orioles in 1994 averaging 7.41 strikeouts per nine innings, going 6-6. But he had a career high 5.15 ERA allowing 27 HRs second most in the Majors. In 1995 after going 0-4 with a 7.39 ERA the O's released him in mid July. Three days later he signed with the Philadelphia Phillies & surprised everyone winning the Pitcher of the month award that August as he went 5-0. He would finish the year at 6-1 in Philadelphia, earning his first ever Opening Day start the next season. Injuries shortened his season by June 1996 as he finished 3-6 with a 3.43 ERA. Sadly, in September 1996, Fernandez' father-in-law was shot to death in Honolulu by a disturbed co-worker. In 1997 he signed with the Houston Astros pitching two minor league games at AAA New Orleans before getting called up for one game with the Astros. In fifteen seasons, Fernandez was 114 - 96 with 1,743 strikeouts 25 complete games, six shut outs, & a 3.36 ERA pitching in 1866 innings over 307 games. Opposing hitters only batted .209 against him in his career. Fernandez allowed only 6.85 hits per nine innings for his career which is the fourth-best total in MLB history. He was also a good hitting pitcher batting 1.82 in his career with one HR (1989) & 7 RBIs. Over the next three seasons he was injured & had one final chance with the AL New York club in 2001 pitching one minor league game at AAA Columbus. Retirement: Fernandez moved back to his native Hawaii and was hired as the Honolulu sports industry development director. He was hired as an executive assistant to the Mayor of Honolulu in an effort to find sponsors for sporting facilities on Hawaii. He also did some high school baseball coaching. Fernandez has also spent a lot of time golfing in celebrity matches. He and his wife operate the Sid Fernandez Foundation which awards four $5,000 college scholarships each year. 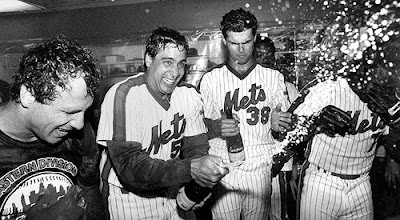 Honors: Sid appeared at the Mets 1986 twenty year anniversary celebration , as well as the closing ceremonies at Shea Stadium. 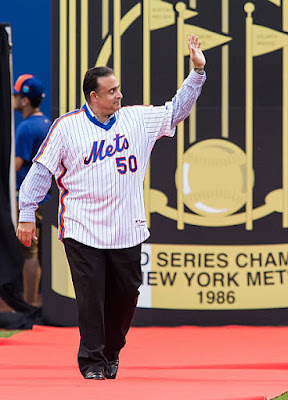 In 2016 he attended at Citi Field for the 30th Anniversary of the 1986 Champions.